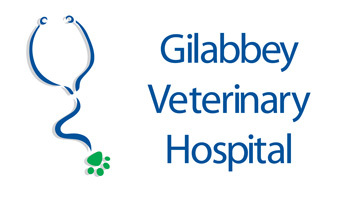 Gilabbey Veterinary Hospital (GVH) wants to hire an experienced specialist surgeon. We would like this person to join our small, enthusiastic team which is keen to progress professionally and to widen its surgical caseload. We currently have one full-time ECVS surgeon and visiting specialists in Internal Medicine and Imaging, with certificate holders in dermatology, ophthalmology and cardiology. The hospital is based in Cork city in the South of Ireland. The surgical caseload is growing with significant potential. We have in-house CT, visiting MRI, arthroscopy, fluoroscopy, digital radiography, laparoscopy, on-site diagnostic laboratory and the usual orthopaedic instrumentation including BioMedtrix Universal THR. GVH will provide full-time night time and weekend nursing case of in-patients. Experienced certificate holders will also be considered. Cork city is Irelands second largest city and is located on the South Coast of Ireland. Cork has a population of 200-250,000 and is the gate-way to the beautiful natural countryside of the south of Ireland. GVH is a growing hospital with a friendly, hard working team of veterinary surgeons and nurses. It is important to us that we select the right individual to complement this team. Generous package on offer dependent upon qualifications and experience. Further details of the advertised positions can be found by contacting Shane Guerin or John Cunningham.